Generally, the Android mobile devices don’t require daily cleaning or junk files removal. 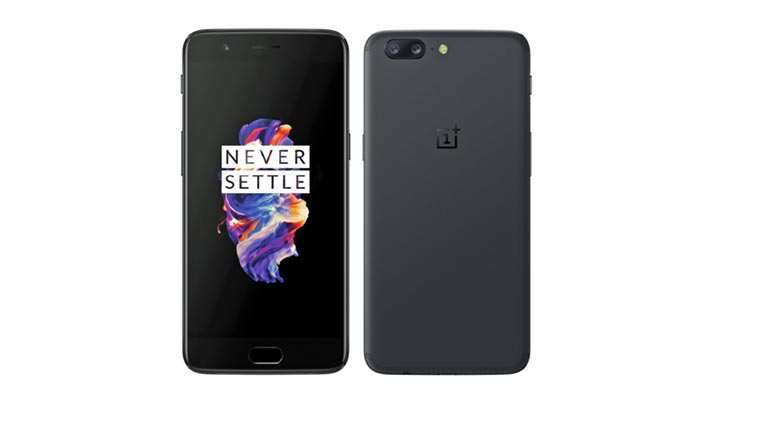 However, it is a good idea to clean your Android intermittently to boost the performance, enhance the battery life, and delete all junk files. And all the Android cleaner and booster apps are meant for this. You might have one question in your mind, are these free Android cleaning apps really clean the cache and junk files? The answer is YES, using apps for long time piled up the cache on your phone and it needs to clear after some time to maintain the phone performance. 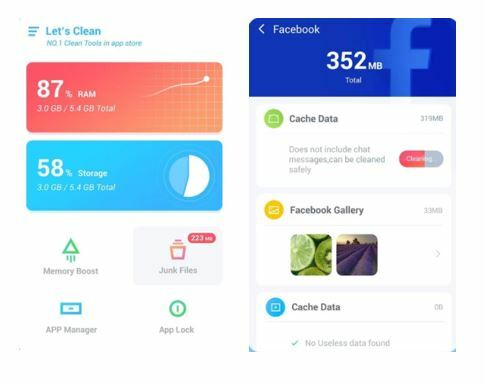 These cache cleaner apps not only clean the cache but also clean the junk files such as image thumbnails, uninstall app residual data, junk from ads and more to free up the phone storage. You’ll not have to worry anymore about how to clear cache or how to speed up an Android phone, the Android Cache cleaner and memory booster apps will take care of them. Few Android cleaner apps also come with RAM cleaning and battery booster features. However, in some apps, the RAM cleaner feature known as Phone Booster. 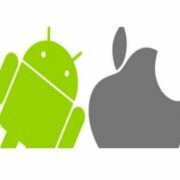 The usage of these two is worth only in old Android or low-end phones because the new version of Android can manage them both. 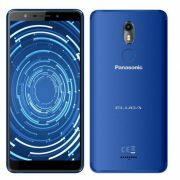 However, if your phone is running low on memory, phone performance is slow or just want to clean the junk files to make some space for new media then have a look at this list of free Android cleaning apps. CM Antivirus: It is free antivirus to blocks and removes viruses/ trojans. Phone 1 Tap Boost: The Clean Master Phone Boost feature helps in freeing up RAM (RAM cleaner). However, after boosting your mobile the performance will slightly be increased than before. It helps in playing high-end games. 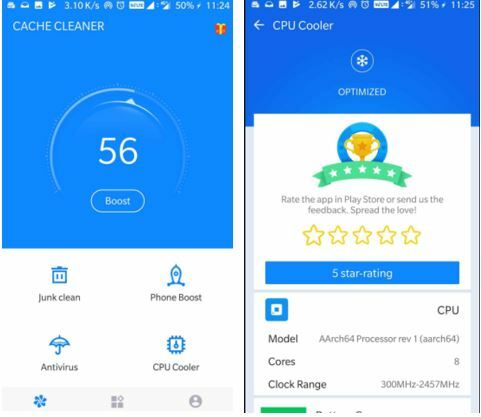 CPU cooler: If some app on the phone creating CPU overheating, the Clean Master CPU find out that and helps to freeze it. 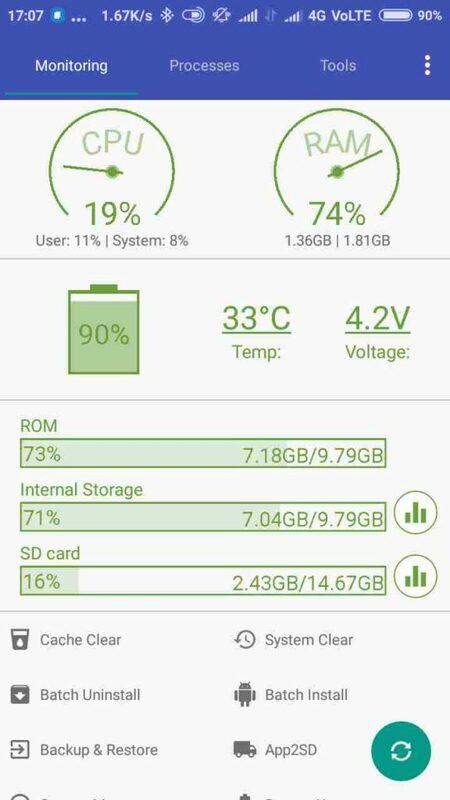 Battery saver: This features works around the battery to increase the overall all battery life by hibernating the apps those are in usage to save the power. Notification: Too many junk notification can cause lagging the phone, so this option will safely close them. Private Gallery: It encrypts private photos and videos so that only you can see them. WiFi CM security: CM WiFI will allow you to setup a VPN connection to safely browse the internet when you connected to some unknown WiFI. Clean WhatsApp: We get lots of videos, voice messages, and images on Whatsapp. This Clean Master will clean the junk files from WhatsApp once approved. Applock It protect the phone apps with an AppLock PIN or pattern. For low-end Android Mobile phones, the Clean Master also has released a stripped version known as Clean Master Lite (review). Power Clean app has rated more than 2M users on the Play store which makes it another popular Android cleaning app. It has light and fast interface. 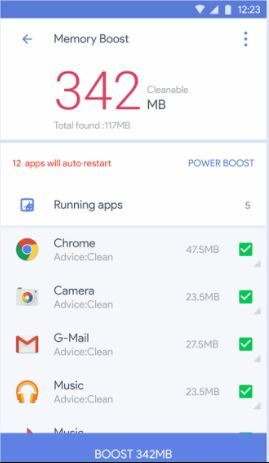 This android phone cleaner and booster app can work to clean phone memory and storage space, notification cleaner, app manager to uninstall, backup, and share apps. It also has App Lock to securely protect apps like Whats App. Phone cleaner for Android to clean junk and residual files. 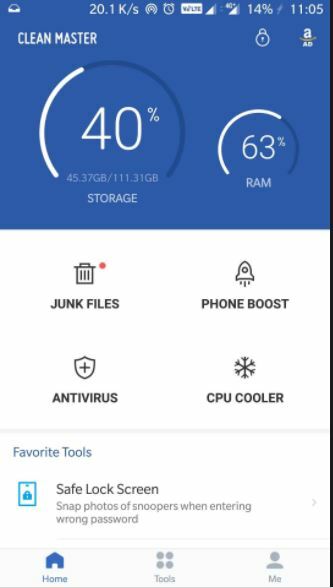 A professional Android junk and cache cleaning app with a boosting engine to carved out maximum performance from the phone. It has very simple and intuitive interface. Cleaning solution for Ad junk, residual junk, cache junk, memory(RAM) junk and APK files. 1 tap boost & autostart apps. Optimize phone system and apps performance. Boost Cleaner is one the best Android Cache cleaner app for its simplicity. It comes with junk file removal, App locker, and Notification cleaner. It is a small and light app that works as a dedicated speed Booster & junk Cleaner claimed by the developers. Like Clean Master, it has almost similar interface and easy to use. Just use 1 tap clean button and this master cleaning app will get the job done. 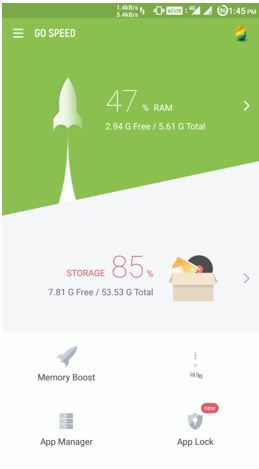 Phone boosting by releasing the memory (RAM cleaner) and cache clearing. Cache Cleaner DU Speed Booster has around 230 million downloads and features almost everything you need in an Android cleaning app. You can say it an all in one-speed booster app that also features trash or junk cleaner and antivirus app. While managing the background apps, memory space and junk cache files it also makes sure that your device is free of virus and Trojans. Like other cache cleaner apps, this can manage the phone apps that means you can uninstall those not used frequently straight away from the Du speed booster. By default, it displays toolbar on your notification toolbar. If you want to disable it then go to its settings “Notification Toolbar” and toggle off the “Enable Notification Toolbar.” option. Network Boost– Wi-Fi security, download speed, upload speed, networking devices. 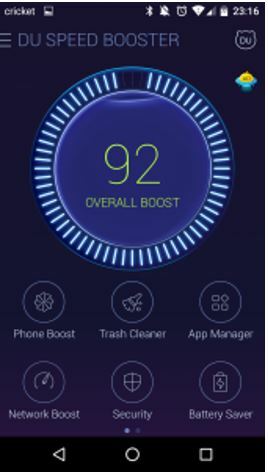 The Go Speed free cleaning app claimed that it can take care of your Android device better than another booster apps because of ability to control the auto start of apps. It can intelligently clean the background process by monitoring them. BlackHole Speed Booster stops the toughest auto-start apps. AppLock to lock app WhatsApp, Contacts and Facebook Messenger using pin or pattern. 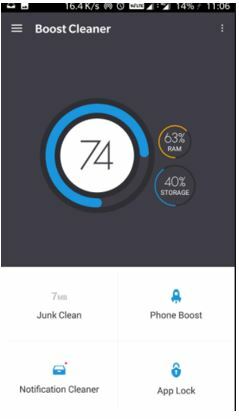 The Boost App cache cleaner features 1 Tap boost option that can clean junk files with just one tap. 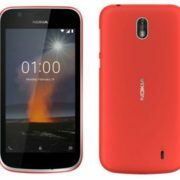 It supports Android 6.0, 7.0, 7.1 Android operating system. 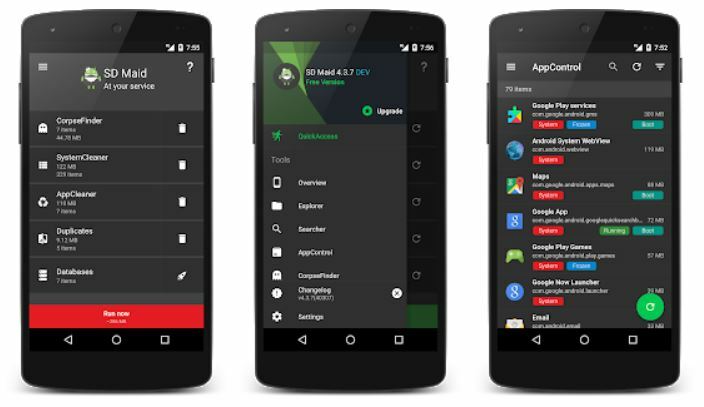 App Cache Clean Master is a simple cache manager for Android devices to clean cache & junk files. It is developed by the Apex Apps and work like premium version apps. Also, it reminds you intermittently when the cache of the device exceeds the threshold. You don’t need to be root your phone to use this cache cleaner tool. Cache Cleaner – 1 tap Clean & Scan and refresh. Backup & Upload apps to cloud drive such as Google Drive, Dropbox, etc. If you have the Android performance issue, want to clean the junk files to free up some storage then use anyone mentioned above. Let us know, did these Android cache cleaner apps are worthful. 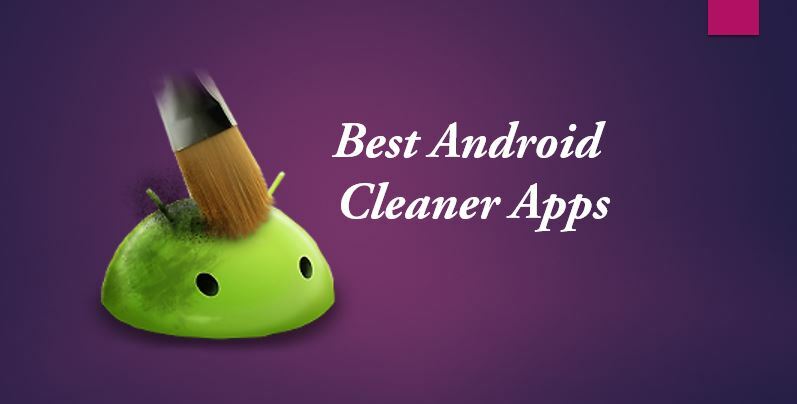 Moreover, if you are using some other Android cleaner app that is best for you and not on this list, please also let us know that too. Share your reviews in the comments box below.